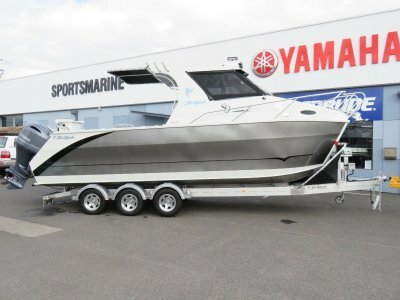 The very first of a new model Sailfish Catamaran has arrived in WA for delivery to a very excited owner. 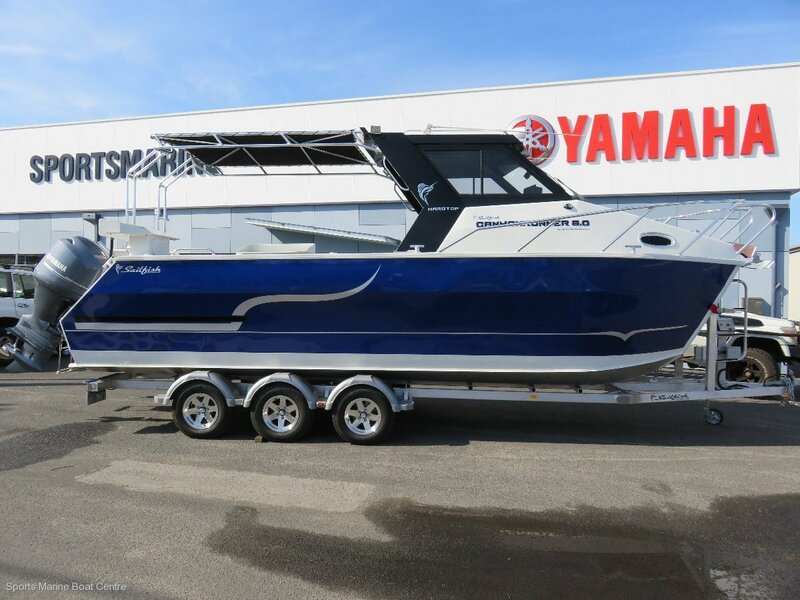 This 8m CANYONRUNNER is a close relative of the very popular 7.5 CANYONMASTER with 500mm more deck space making the fishing area massive and the performance amazing. 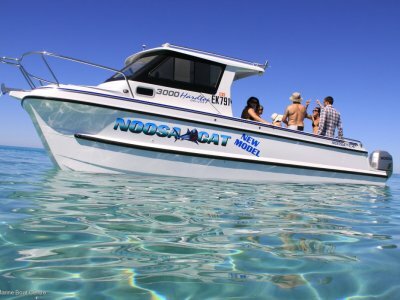 Fitted with 2 x 150hp Yamaha 4 stroke outboards, you need to make sure everyone is hanging on when you hit the throttle. Hole shot is electrifying for an 8m boat and the top speed of 40 knots is more than you'd ever need. 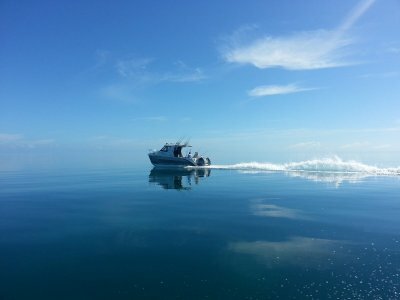 Even on one engine it scoots along at 26 knots which demonstrates just how efficient these boats are on the water. 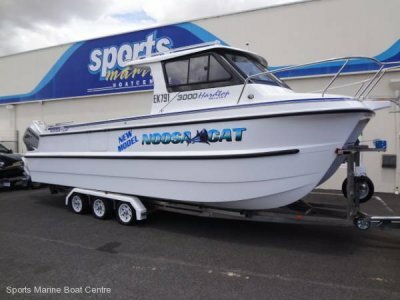 These boats will no doubt perform well with 130hp engines or for that extra grunt go to the lightweight Yamaha 200hp engines with digital electronic controls. Options added to the standard boat included a custom rear mounted bait board and side mount removable bait board, fridge slide and 47L Evacool fridge freezer, 2 burner gas stove, 2 rear mounted removable folding seats, a rear seat base for a comfortable pedestal seat, full rear canopy, under gunnel lights, underwater lights, side and overhead mount spotlights, house battery with 240 volt charging, 3 x Anderson plugs for electric reels, trailer ladder and boat catch. The electronics package is a combination of Furuno sounder and Garmin GPS. The underfloor kills tanks can be flooded for use while fishing or kept dry and used for general storage. With nothing else around matching the award winning Sailfish Catamarans for tow weight, performance, finish and value for money the demand for these boats is very strong. Talk to us at Sportsmarine abount getting into the a Sailfish Catamaran, the ultimate offshore boat.